Nextopia is the #1 global provider of eCommerce site search and navigation solutions. They have over 1,600 happy clients demonstrating their proven track record of helping retailers. Nextopia dramatically improves retailers' most important metrics, such as sales, average order value, and time on site. Nextopia's customer service and support teams are incredibly responsive and pride themselves in their dedication to ensuring clients see success! To sum it up, Nextopia turns browsers into buyers. Refine and sort your product catalog by any attribute, such as Price, Color, Size, Gender, Brand, etc. Powerful customer-derived metrics determine the placement of products. Automated, Dynamic, Metrics-based, Merchandised and Easy to Navigate! Engage with 1billion+ Facebook users with Nextopia Search for Facebook, our new Facebook app. Allow Facebook users and especially your fans to search and browse your product catalog! By using Nextopia TrafficMaker to leverage the search engine optimization power of your customers, you can improve your organic or natural search engine rankings, and increase free site traffic from Google, Bing and Yahoo. Nextopia TrafficMaker leverages Nextopia Site Search data to automatically create optimized landing pages based on popular search queries performed by your shoppers. The perfect app for helping your shoppers find the perfect product - whether it be for them or as a gift. Sometimes shoppers need just a little help finding the exact product to suit their needs. Our product finder asks the right questions to make the buying decision easy while ensuring that your customers choose the right product. Nextopia Explainer Video - Learn What Nextopia Does! What makes Nextopia the #1 global provider of eCommerce site search and navigation solutions? The benefits they provide to their clients, and their customers. Increased conversions. A superior user shopping experience. Actionable customer search data. Decreased customer service calls. These are just a few of the ways Nextopia's site search, navigation, autocomplete, and mobile solutions can transform your eCommerce business. Learn more about how Nextopia can help increase your sales! Nextopia Site Search is fully compatible with the Magento platform. 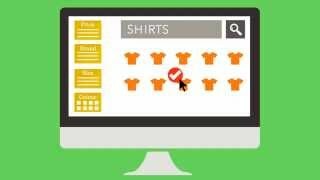 Watch this video to learn how Nextopia can help improve your eCommerce store. 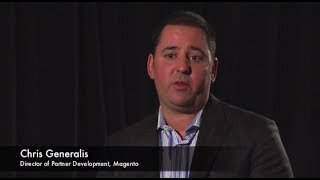 Chris Generalis from Magento discusses his company's experience as an official Nextopia partner.